Early this year a bland-looking industrial estate a few miles to the north of Oxford officially became the manufacturing site for what one of its residents believes to be the electric motors that currently provide best-in-class performance for power and torque densities against any rivals and which could play a major role in accelerating the advance of electric vehicles worldwide. 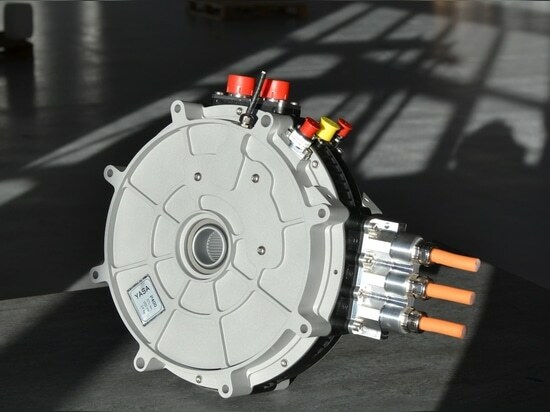 The company is YASA, founded in 2009 as a spin-off from the Oxford University to bring to the market axial flux electric motors. In other words, motors in which the flux runs parallel to the axis of rotation – with a “unique topology” that was the brainchild of its current chief technology officer Dr Tim Woolmer. That means that in comparison with, say, a 100kW radial electric motor a YASA motor is “about half the size and a third the weight”. The company currently has two families of motors – the P400 Series with power ratings from 20-100kW and the 750 R which in its 700V version can provide a peak power of 200kW even though it has an axial length of just 98mm. According to Dr Harris the company – which he describes as a “venture-backed start-up” – has been supplying small numbers of its products from its first days for both on-road and off-road automotive applications. It has, he explains, been determined to refine and develop the product concept through actual experience with customers rather than in isolation from them so that the motors’ particular attributes meet real performance goals. An example he cites involves their use of an oil-based cooling circuit that goes directly from contact with the coils to the exterior of the assembly so that there is “only one interface”. He says that one customer investigating the product which he describes only as “a rather large OEM” reported severe overheating “almost to meltdown” which on investigation stemmed from their failure to switch on the cooling circuit. As a result, he says with a slight grin, all the motors made by the company “now include a thermal sensor”. Perhaps more pertinently Dr Harris adds that the slim, compact nature of the motors can mean that they can be subject to damage if handled as roughly as might the case “with a big radial motor”. As such the company likes to be involved in the process when customers work out how to integrate the motors with other vehicle elements though it can provide a rather more robust off-the-shelf version if necessary. Dr Harris indicates that both options have been employed so far with the company selling “a few hundred” of its motors each year to give it both an initial income stream and perhaps more importantly that vital input of user experience. 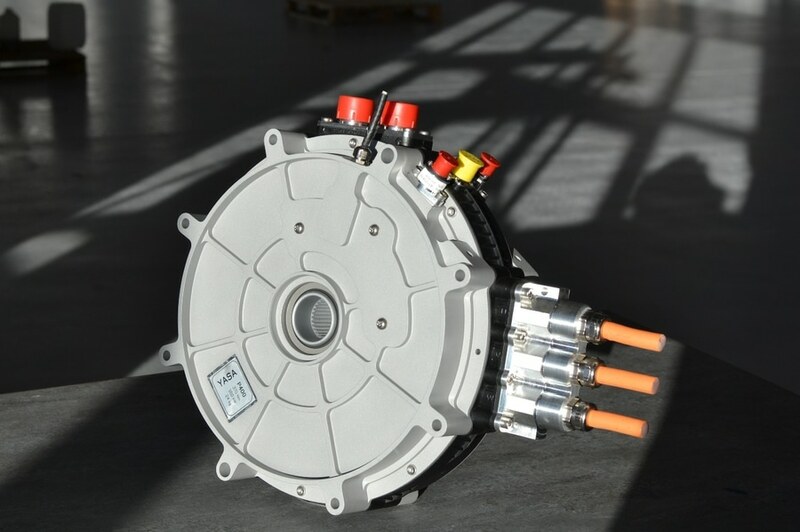 One company that has taken delivery of both YASA750 and P400 motors, for instance, is Swedish ‘supercar’ manufacturer Koenigsegg. But high-volume sales of units highly customised to the requirement of particular OEMs are where the company expects to be increasingly focussed and, as Dr Harris confirms, the first agreement to that end was signed as far back as two years ago. He cannot divulge details other than to say it involved a “15-year development and supply agreement with a premium OEM” though he adds that there is now “more than one” such agreement. Indeed, he states that YASA has already worked with OEMs in the US, Europe and Asia and has in some cases already advanced through feasibility studies to specific vehicle projects. Taken together these deals have provided the stimulus for the new manufacturing facility, which is projected to have a maximum capacity of 100,000 units a year. That is 50 times the output capacity from the company’s previous production site in nearby Abingdon. “The two things we are doing are developing the products to meet customer needs and the manufacturing processes to be able to scale to volume,” he states. As it is the company still operates from two premises with about 16 electronics engineering specialists based in Welshpool – just over the border into Wales as the name indicates – where they carry out design work on the inverter product that the company added to its product roster to facilitate optimal performance of its motors. The location is, Dr Harris explains, simply to take advantage of a local cluster of relevant technical expertise. But the fact they exist at all is because the company took the fundamental strategic decision to develop its own inverter when it recognised that it was the only way to ensure the close degree of technical integration of inverter and motor that the market was coming to demand. Meanwhile, the company employs another 50 or so engineers in Oxford on design and development work for the motors themselves and associated manufacturing engineering procedures. All assembly work for both motors and inverters takes place at Oxford. By the early part of this year the total number of employees had risen to about a hundred – many of them recruited from the mainstream automotive sector. “We may be a young company, but we have a lot of automotive experience,” Dr Harris observes. Moreover, the company is already looking even further ahead having engaged automotive consultancy FEV to help it map out how total production volumes might be ramped up to as many as 500,000 units a year. That will be achieved, Dr Harris indicates, by a mix of replicating production cells and increasing the degree of automation between cells according to requirements though at the moment product transfer between cells is purely manual. “Everything we do is scaleable and has already been thought through to much higher volumes,” he states, adding that there is in any case a “low labour content” in the assembly procedures the company has developed. Details of what actually happens on the company’s assembly floor do, however, remain a subject on which the company is quite secretive. Dr Harris says that though the company does have some relevant patent protection other aspects of its manufacturing “know-how” can only be effectively protected by keeping them in seclusion. “If you write a patent and people read it then they can sometimes find a way round it,” he explains. Intriguingly he says that the company has succeeded in adapting “standard manufacturing processes” that have not previously been used in the production of electric motors to that task. Nor is there any requirement for a ‘clean room’ environment to house those processes. Otherwise he simply says that all “machining and moulding” is contracted out and that the company focusses on “final assembly and testing” as its key in-house operations. Moreover, as the company moves towards ramping up its output it will, Dr Harris adds, also look to outsource to its supply base relevant “certification” procedures so that parts can be deemed ready for use as soon as they are delivered. He does not reveal the size of that supply base but does indicate that in geographical terms it is far from being confined to just the UK. The magnets used in the motors, for instance, of necessity “come from China” while sensors are sourced from Germany. 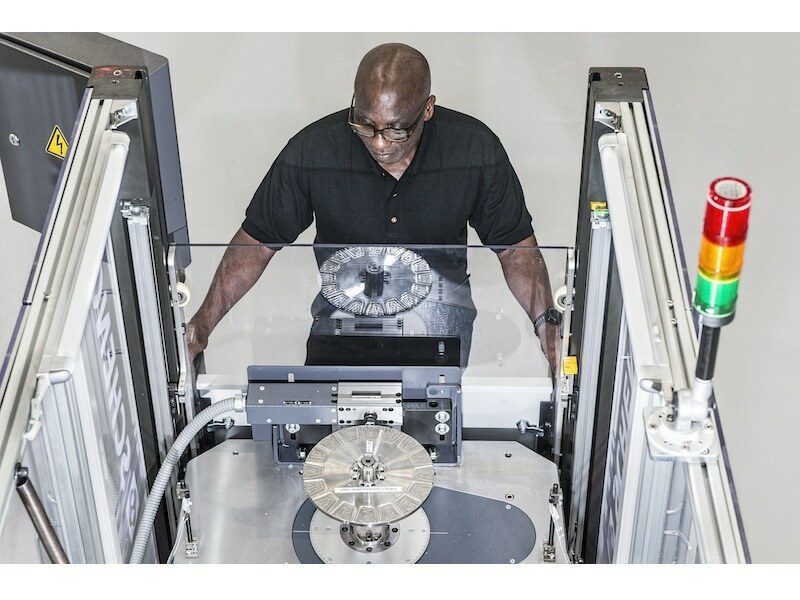 He is also entirely confident that as the company ramps up production volumes it will be able to source parts in a manner that will enable it to cope with the just-in-time delivery schedules that OEM customers will require. “That is already written into the contracts we have signed,” he confirms. Instead Dr Harris is keen to stress that the design of the products can be modified to suit the particular requirements of customers not least to ensure that procedures to integrate them into vehicle assemblies can be as streamlined as possible. Attributes that can be varied include diameter, torque and power requirements and interfaces for both electronic elements like sensors and mechanical ones like coolants. As such, Dr Harris confirms, straightforward “packaging” of the motor-inverter units is extremely important though he adds that the company has also developed its own “very sophisticated” simulation packages that can predict factors such as magnetic and thermal performance with an accuracy of “typically between 1% to 2%”. In consequence other than as an initial sample “we never sell a standard product.” Appropriate volume production will, he says definitively, start next year.